This is how British authorities informed the family, which is located in Nantes. 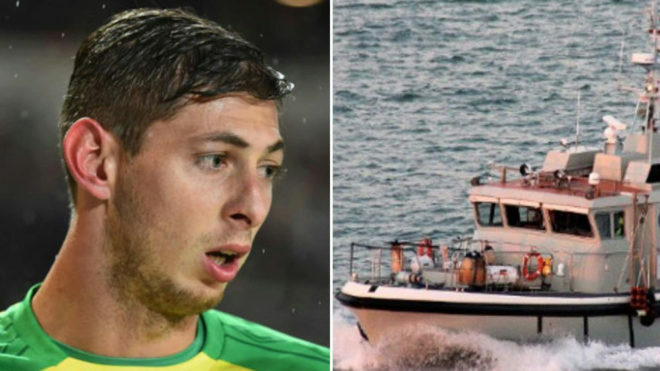 The wreckage of the plane that transported soccer player Emiliano Sala from Nantes to Cardiff was found on Sunday at the bottom of the Channel Sea by the FPV Morven, the boat leased by his family and supported by online donations. 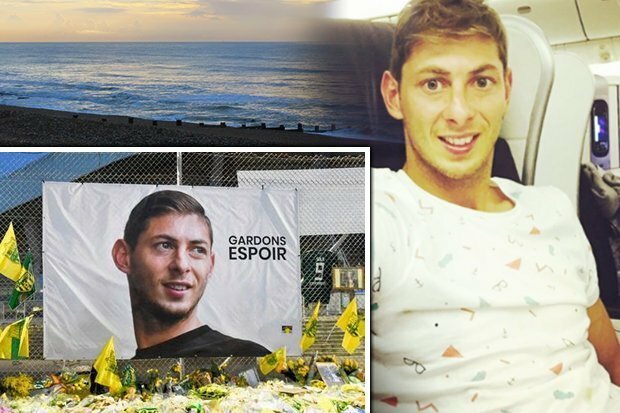 The Sala family, which is located in the French city of Nantes, was informed by the police by order of the British aerial accident investigation agency AAIB, which is in charge of the official expert reports to find out the causes of the accident. The relatives of David Ibbotson, the pilot driving the Piper Malibu N264DB, who moved Sala to his new team in Cardiff, were also notified. Sala had gone to say goodbye to his friends from Nantes, where the scorer had been transferred for 17 million euros to the Welsh club, which fights to avoid relegation in the English Premier League. The flight had not been organized by the clubs but by the intermediary of the transfer, Willie Mc Kay. ” Out of respect for the family, we will not give more details ,” Mearns said, although he warned that they were “devastated” in dialogue with the correspondent of Sky News in Guernsey, the island near which they found the remains of the Piper. The device was found on the first day of resumption of the search, in a joint operation between the Morven and the Geo Ocean III, the aircraft of the Ministry of Defense rented by the agency AAIB, after the finding of the seats of the apparatus will guide on the trajectory of the fall of the plane, which had disappeared on January 21. The volunteers of the island had searched for 72 hours but abandoned the search because they believed that there were only “remote possibilities of finding them alive in those icy and deep waters”. The FPV Morven had left at 3 o’clock on Sunday morning from the port of St. Peter to travel an area of ​​4 nautical miles, which had been divided in two with the Geo Ocean III, to patrol and double the chances of finding the remains. The eight crew and scientists of the Morven were 24 miles from Guernsey when they saw and heard something on the sonar on board. They passed over and over the area to make a pinpoint or demarcation and have a closer view. Throughout the day they passed through several stages of identification before Mearns became convinced that they had found the Piper. The Morven is operated by the submarine cable installation firm A-2-Sea and is equipped with the latest technology. It was at that moment when the Morven transferred the responsibility of the search to the Geo Ocean III, where officials of the accident investigation agency (AAIB) will be responsible for the confirmation and formal identification of the remains of the plane. They lowered a robotic vehicle to identify the Piper and take pictures. The first step of a formal investigation, which will decide the causes of the accident, will dictate the reasons and responsibilities and to whom the negligence corresponds, if any. They will be the basis for resolving the payment of the transfer of Salas del Nantes to Cardiff, whose payment was cancelled by the Welsh club while studying to appear in court for a case of negligence in transporting the most expensive purchase in its history in a single-engine and with a pilot without the proper license. Given the responsibility of the experts and the subsequent judicial implications, it is essential to preserve the place and the conditions in which the wreckage was found. 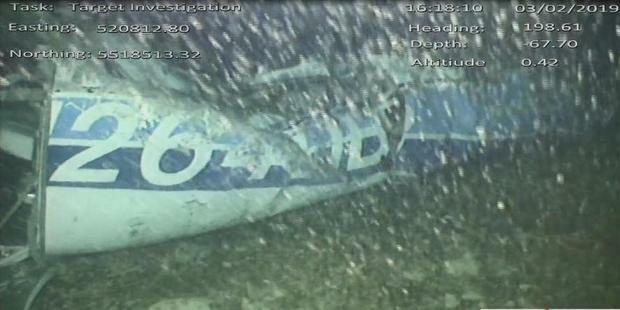 Initially Mearns noticed that he was looking for “remains” because he considered that the plane would have been broken. “We coordinate this search with the British government. The two boats will investigate with sounding the topography and the bottom of the sea. Then a vehicle with remote control called VOV will descend to investigate and photograph. With this joint procedure we have doubled the chances of finding it, “Mearns had explained before the start of the crawl. With the two ships with sonar and a joint operation, the specialists decided with pragmatism to multiply the possibilities of finding the Piper working in coordination. And they got it in the first hours of searching.